"I think it is worth understanding what leaving [the EU] would involve", says David Cameron, then offering us a completely false scenario which does nothing other than demonstrate his own lack of understanding. Speaking to a brief straight out of the Open Europe book of lies he tells us that "there is the Norway option". "You can be like Norway", he says, "and you can have full access to the single market but you have absolutely no say over the rules of that market". 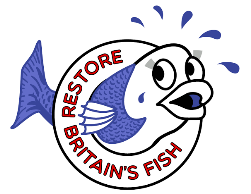 Cameron was speaking at a lunch organised by the Parliamentary Press Gallery in Westminster saying he was in favour of staying in the EU because of its single market. But, he said, if the UK pulled out of the EU but wanted to keep the advantages of the single market it would be reduced to the standing of Norway, which has to abide by faxed orders from Brussels bureaucrats. 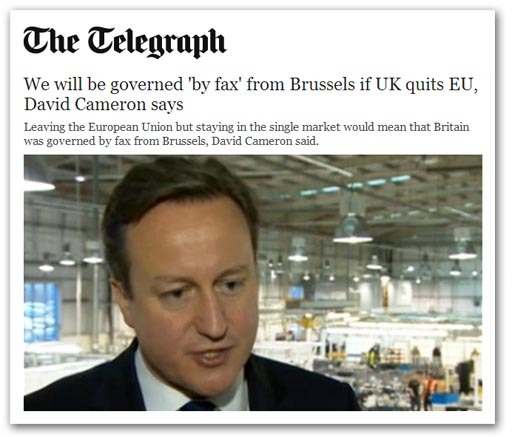 "In Norway", Cameron says, "they sometimes call it 'Government by fax' because you are simply taking the instructions about every rule in the single market from Brussels without any say on what those rules are". One despairs here at a man who cannot even show any imagination or originality. This tired old canard has been running for years, first raised by europhile Norwegian politicians who were trying to get their sceptical people to agree to joining the EU. It didn't play with them, but that doesn't stop Cameron trying it on here. He really is that lame. It says something though, that we dealt with this in detail as early as May 2008, and we have returned to it several times, in October 2008, October 2009, in July 2012 and November 2012. EURef readers are better informed than the prime minister. Crucially, the essence of this is that most of the single market rules are negotiated at global and regional level. And, as this Bruges Group report makes clear, EEA/EFTA experts and representatives participate in over 500 committees and expert groups involved in what is known as "decision shaping" at this level. This, says the report, "is a valuable and appreciated opportunity for acquiring information and contributing to new legislative proposals at the earliest stages of policy formation". And what is decided at global and regional level - often tied into a network of intergovernmental treaties - cannot be changed. The EU simply acts as the middle-man, turning what are called "diqules" into actionable law. But, as long as we are in the EU, we have less control than we would like over the formulation of these "diqules". Whether it is technical standardisation of transport requirements from UNECE, common banking rules from the Basel Committee on Banking Supervision, international food standards from Codex Alimentarius, animal disease controls from the Office International des Epizooties (OIE) – created, incidentally, in 1924 - or labour laws from the International Labour Organisation, a we usually defer to the "common position" decided by the EU when dealing with these bodies. 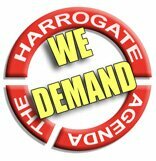 Outside the EU, and within the EFTA/EEA - where we were still part of the single market - we would regain our voice. Instead of the "common position" most often being decided by the French and Germans within the EU - with British voice suppressed - our "say" would actually be improved. We would be able to express our views directly in global councils, without the blocking "filter" of the EU. But there is even more to this than we have so far discussed. 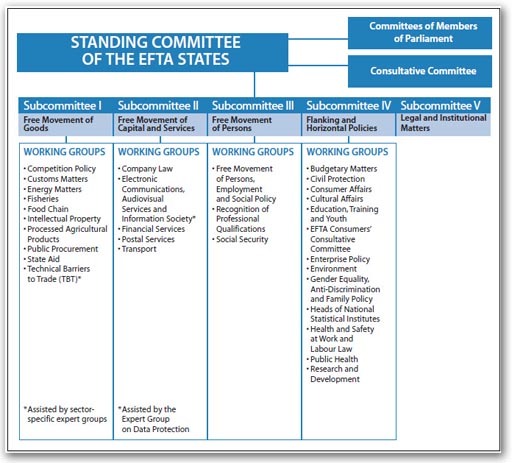 Within the structure of EFTA, which hosts the EEA agreement, there is a range of consultative bodies, including the EEA Council, three joint committees and then over 30 working groups (listed above). There is also the EFTA surveillance authority and the court. Thus, to suggest that that, outside the EU but inside the single market, the UK would have "no say over the rules" is absolutely untrue. It is grossly and completely untrue. There is an enormous network of discussion and consultation even within EFTA/EEA, on a global and regional level, long before these rules ever get near a statute book. The UK would be an active part of this network. However, this issue is clearly going to be one of the main battlefields in the coming debate. It is one the europhiles are milking for all they are worth, relying of the ignorance of people on how modern governance works - an ignorance shared by our own prime minister. So far the europhiles have been allowed to make the running on this, but they must not be allowed to prevail. Mr Cameron should be ashamed for peddling such naked untruths and for displaying such ignorance and we should take every opportunity to improve his education.